From the Ellaura Embrace Collection, this striking 14k white gold ring features round diamonds prong-set set in a unique alternating design. 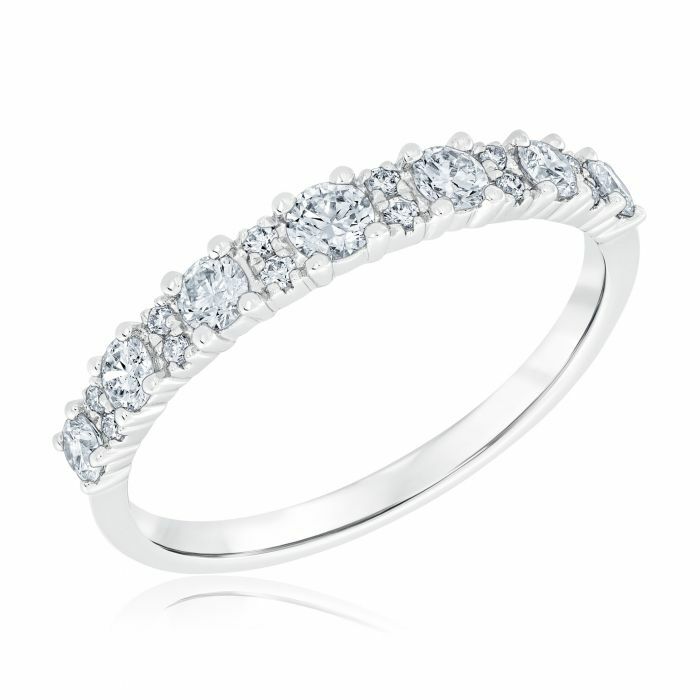 This is the perfect anniversary band or fashion band to add to her stunning collection! Diamonds are 1/2ctw, I or better in color and I2 or better in clarity. Band is 3mm at the top and tapers down to 1mm at the bottom.